Bullet Proof Men’s Suit so Batman #WearableWednesday « Adafruit Industries – Makers, hackers, artists, designers and engineers! Everyone dreams of having Batman’s gadgets, but no one really gives much thought to Bruce Wayne. 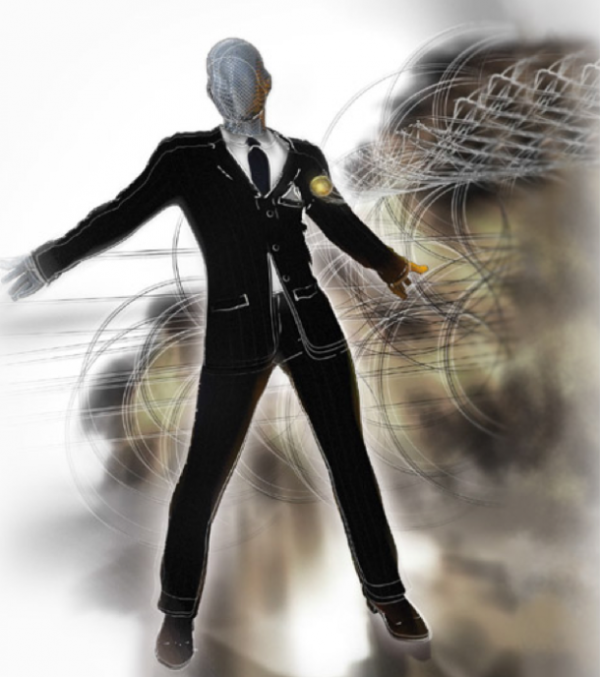 Now, a new suit, “Diamond Armor“, combines high tech practicality and high-end charm so both can live in the same suit. SuitArt is the mastermind behind this super wearable tech, complete with super price tag, according to CNET. The suit fabric is embedded with 880 black diamonds; the lapels and stitching feature an additional 600 black diamonds with a total weight of 140 carats; and the jacket buttons are made from steel embedded with even more black beauties — 280 to be precise. Certainly the diamonds add class, but it’s the superhero side that really holds interest. The bullet proof feature offers Level 2 classification protection and is provided by Croshield, a specialist in armor and ballistic protective equipment. According to the National Institutes of Justice, this level will protect the wearer from bullets fired from handguns ranging from 9mm pistols to .57 Magnums. Anything stronger than that coming at you, and it’s best to retreat back to the Batmobile. This animation shows an example of Croshield’s body armor, which appears heavy duty. The suit also has special features such as button controlled humidification, since even regular guys sweat. It’s also waterproof and soil resistant due to nanotechnology, which means Alfred can have the day off. Attending art events? You will be part of the show with a suit lining featuring artwork by Luciano Goizueta. Having problems deciding what to wear with this fancy suit? Accessories include a 24-carat gold woven tie and a limited edition diamond watch by Carl F. Bucherer. It looks like this is a full package deal, and at $3.2 million, you may only need to buy once for the perfect suit. However, if you want something with superhero status and a lower price tag, you may want to build our Super Power Plant and be so Tony Stark.